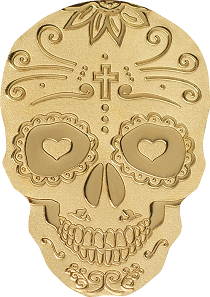 October 25, 2018 – On the occasion of the ANA World’s Fair of Money 2018, CIT Coin Invest AG presented the third motif of its popular Skull series. This time, the skull picks up on the affectionate care the dead are honored with on the Día de Muertos in Mexico. During this holiday, which takes place between October 31st and November 2nd, the deceased are supposed to return to their graves to have a cheerful celebration with the nearest and dearest they left behind on earth. La Calavera Catrina. 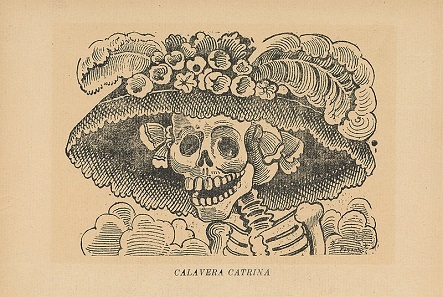 The etching made by ithographer José Guadalupe Posada. In celebration of this holiday, candy shaped like skeletons and skulls is offered. It is the decorations and crosses that are added to baked goods using sugar which the adornments on CIT’s skull are reminiscent of. The issue’s name “La Catrina” is a reference to a particularly popular figure of this Mexican tradition. “Catrina” is used to denote – fairly derogatively – a rich woman who denies her Mexican origins in order to imitate the French. A cartoon drawn by graphic artist José Guadalupe Posada became one of the most popular characters of the Mexican Day of the Dead. 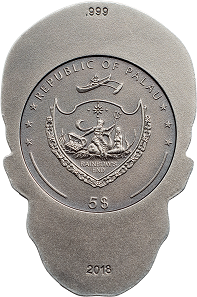 Palau / 5 dollars / silver .999 / 1 oz / 25.5 x 38.3 mm / Mintage: 1750. 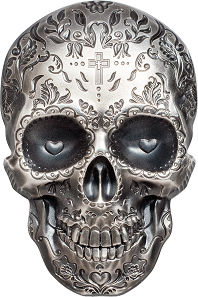 The skulls which are part of the incredibly popular CIT Skull Series in silver are minted miniature sculptures of highest plasticity which owe their design to smartminting technology. After the first issue in 2016, both Skull No1 and Pirate Skull as well as Big Skull were sold out within a few weeks. 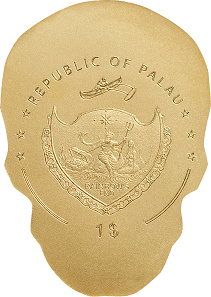 Palau / 1 dollar / gold .9999 / 0.5 g / 13.92mm / Mintage: 15,000. The smaller gold version – in the meantime the third issue, too – is something very special as well. It is due to BGM (= Big Gold Minting) that half a gram of gold can be turned into a gold coin with a height of almost 14 mm. The silky-soft looking surface was achieved using a newly developed processing method called silk finish. Learn more about the silver version and gold version of this coin on the CIT Coin Invest website. This National Geographic documentary clip provides some additional information on the Día de Muertos.